Display and device technology continues to advance. So do we. 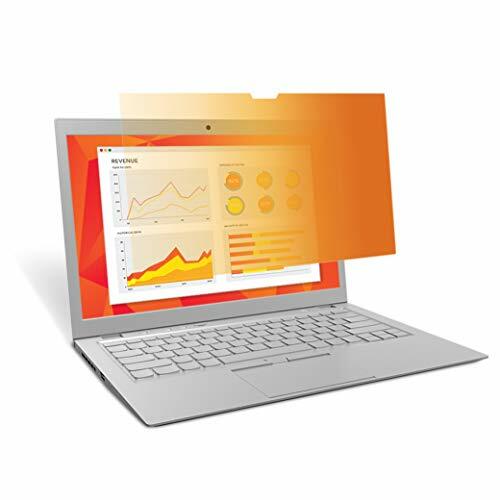 You can see it in our 3M Gold Touch Privacy Filter for Laptops. It's optimized for laptops with touch screen displays. And coming in almost 50% thinner than the standard 3M Gold Privacy Filter, it's designed to seamlessly fit today's thinnest devices. Plus, it boasts 30% higher clarity—all while blocking out side views thanks to our world-class privacy. Our Gold Touch Privacy Filter for Laptops is bound to make a stylish statement, even while it keeps visual hackers in the dark.